There is a fabulous store in Houston called Adkins Architectural Antiques. The adjacent warehouse is filled with salvaged doors, shutters, windows, mouldings and other building ornamentation. One day last summer I arrived on a mission to locate a piece of material from which I could assemble a coffee table for the seating spot in the bedroom. Their very knowledgeable sales associate thought she knew what I might be looking for and took me to the far back of the warehouse annex. Leaning there against the wall in the shadowy corner were two primitive doors, rough and weathered and probably decades old, but still solid. They were both perfect! I selected one, commissioned their wood shop to cut off the ends to the dimensions I needed and lightly stain the newly cut wood on the edges to match the aged exterior. In the meantime, I purchased some raw steel hairpin legs to attach to the table top (source). A week later, I brought the piece home, and in 15 minutes had a gorgeous coffee table. Far more beautiful than anything I could have found elsewhere (for the modest investment). The original inspiration for this table came from creative blogger, Angela Ferdig, who made a gorgeous entryway bench from a hefty piece of aged lumber and these stylish metal legs. Her post was featured on Remodelista! The Dash and Albert rug tossed across the table top is a look I shamelessy copied from inspired designer Joni Webb. How cool! I love the chippy top and the legs keep it from looking really country. It looks great in your room. I absolutely ADORE your taste in style. 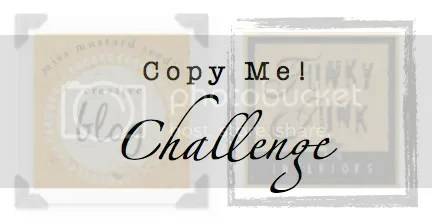 Saw you on FJI Copy Me Challenge. Love your coffee table! I need to go to Adkins next time I’m in Houston, our architechual salvage shop here in San Antonio is way over priced! Nice mix of rustic and modern.